This is the best time ever to visit Copenhagen. Especially for an epicure! 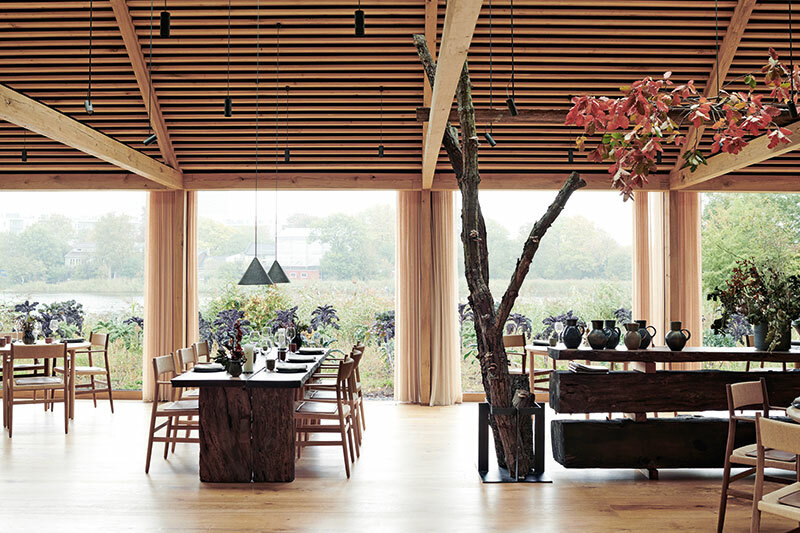 The birthplace of Noma — the eatery at the top of The World’s 50 Best Restaurants four years in a row in 2010, 2011, 2012 and 2014 — all of a sudden discovered itself on everybody’s must-see, must-do, must-taste lists. This is also where Noma was reborn in February 2018 on a new site, a year after it had closed down. 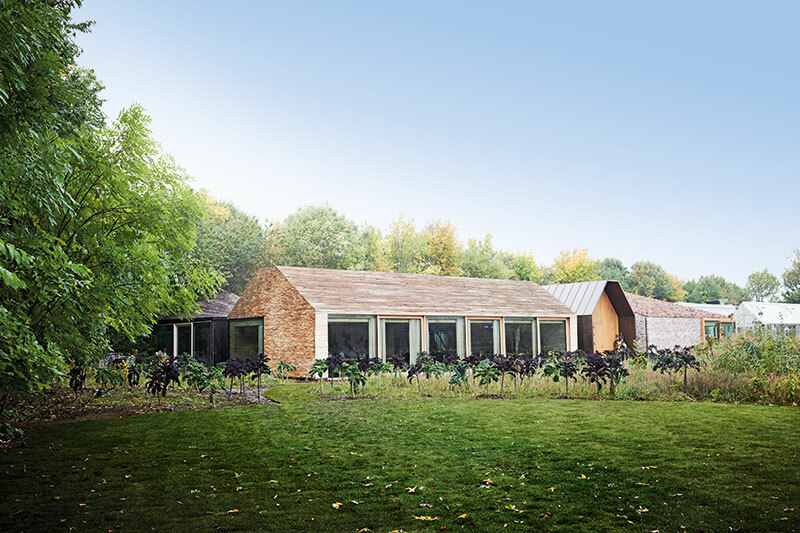 René Redzepi, perhaps the best-known chef in the world today, had announced that he would redefine his restaurant, his cuisine, his food philosophy…. Shutting shop, he went on to create the culinary event of the year — a Noma pop-up in Mexico. Noma 2.0 opened to great expectations, to meals that were booked out months in advance and a flurry of unbelievable food images on social media. After all, Redzepi is one of the founding fathers of the New Nordic cuisine (a term that he hates apparently), which, while tapping into all the modern gastronomic ideals of location, sustainability, native ingredients and innovation, concentrates on gaining local self-sufficiency in the mostly-cold and often-harsh environs of Scandinavia. (Open your mind and stomach up to forest moss and live ants!) He is the father of foraging, sourcing uncommon ingredients from the beachside, forests and marshes, particularly around the Danish capital. So, I (with husband in tow) have contrived to spend a few days in this city — that pleases with its clear skies, sparkling blue waters, impeccable cleanliness and healthy lifestyle, where cyclists of every age rule the streets and myriad bridges. The city seems frozen in a time more innocent than the rest of touristic Europe, and I am unsurprised that it has headed most ‘Best Cities to Visit’ lists, recently. And this has been orchestrated mainly thanks to one man and his restaurant! Noma, however, is not my story (see box though). It is the phenomenon of ex-Noma chefs, Noma alumni if you like, who have moved on to open successful eateries of all kinds in Copenhagen (and indeed the world). 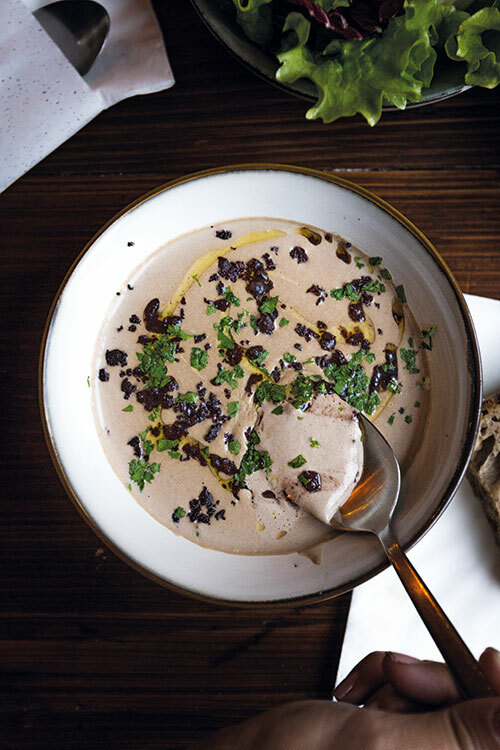 These establishments do not bask in any reflected glory, and while ‘ex-Noma’ has become a staple in front of their names, these culinary artists aim to cook their way out of this ‘limiting’ description. Having read through innumerable reviews and interesting backstories, I have made the necessary reservations before leaving on my sojourn (the listing did keep changing so). And here I am at the first one, the innovative Italian eatery Baest, situated in Nørrebro, on Guldbergsgade, not far from the cemetery where Hans Christian Andersen lies. Giuseppe Liverino of Wonderful Copenhagen sits opposite me and points out that Baest had been listed by The Guardian in 2017, as serving the world’s eighth-best pizza, and is owned by Chef Christian Puglisi, a former Noma sous-chef, celebrated also for his Michelin-starred Relae, which is touted as the most sustainable restaurant in the world. The casual and charming place is crowded; reservations are imperative. This is where Italian craftsmanship spotlights the best local, sustainable and organic produce from Denmark. ‘Made by hand and eaten by hand!’ proclaims the menu with its line drawings. We start with a simple pizza featuring tomato, garlic, oregano and olive oil on a gently fermented base made of local flour and baked in a wood-fired oven custom-built in Naples. We then dig into the house-made organic charcuterie and discover the local favourite nduja, a spicy salami paste. We load our crusty house-made bread with a lovely stracciatella (mozzarella with cream) dotted with crunchy bits of greens straight off the farm. Everything is made from scratch and could not be fresher. The next day I am slated to visit Puglisi’s second Italian restaurant and bakery, Mirabelle, located close to Baest. 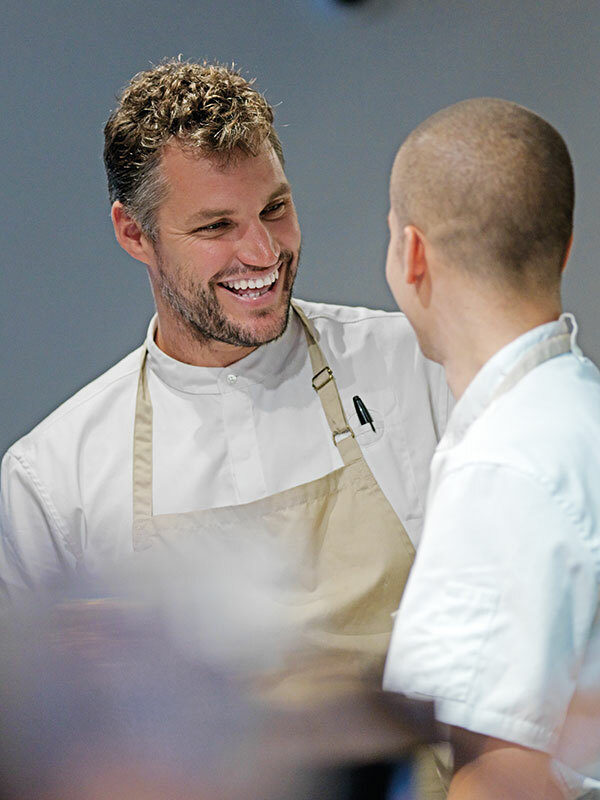 I request a walk through the prep labs of the two restaurants in order to gain an understanding of this outstanding chef’s love of the local. One of the Mirabelle chefs, Andrea Cerruti, leads us upstairs and walks us through the butchery, the cheese room, the meat smoker hung with salamis and hams, the cured meats storage closet and the prep kitchen (ham legs, he explains, take up to two years to mature). Everything, I realise, is being made on site! 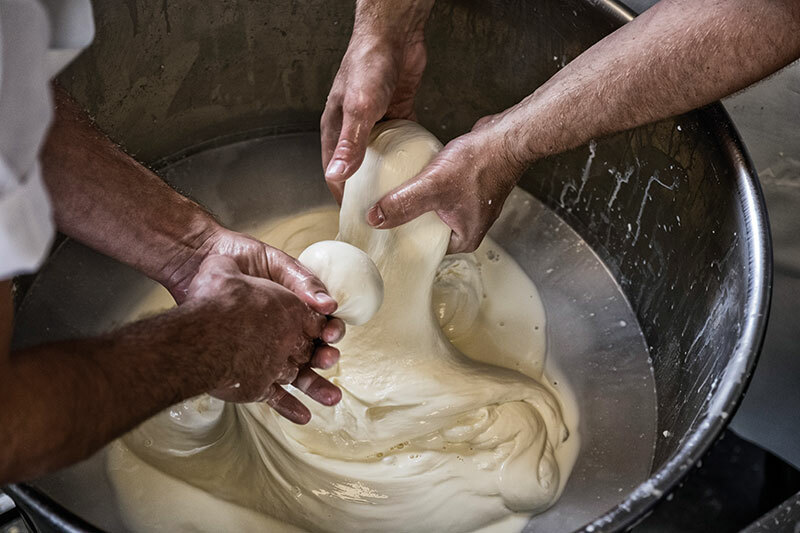 He points out that instead of importing mozzarella from Italy, it is crafted right here from the 220 kilograms of the freshest milk, acquired from the 40 Jersey cows that graze on their own farm in Lejre, just 40 kilometres away, appropriately dubbed the Farm of Ideas. It is then served within hours. 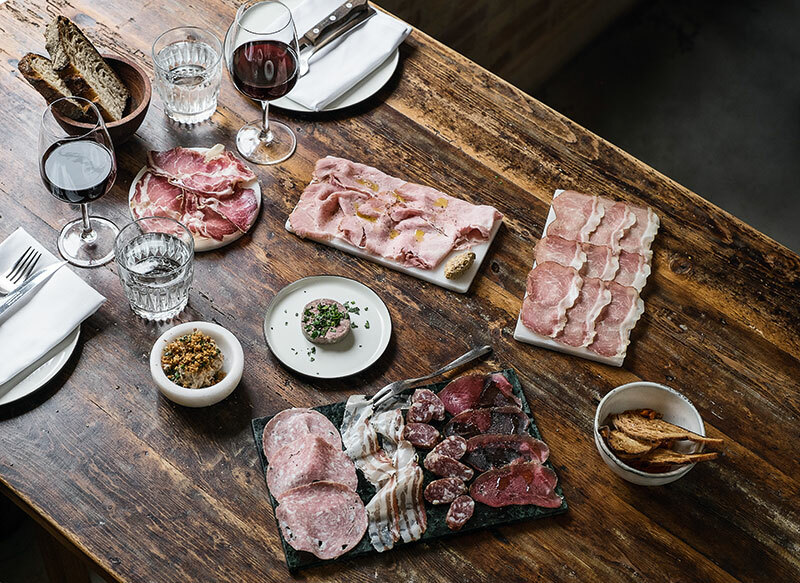 The charcuterie too is made from the best variety of pigs to be found locally. On this floor, above the restaurants, I discover a private dining room and the newly opened vermouth bar, Rudo. Mirabelle has a warm vibe, with local families and girl groups chattering at tables placed close together. Baked goods are being sold at the takeaway window. (The Mirabelle croissant fermented with natural sourdough starters takes four days to create and is a winner!) This restaurant is reputed to make the best organic and naturally fermented sourdough bread in town. The enormous loaves that have been stacked up are being sold in chunks by weight. The time for brunch being almost over, we forego the eggs and ham, porridge and fruit, and wait for the lunch hour. A fixed menu of an antipasti plate selection of house-made charcuterie, olives, grilled and pickled vegetables; an all-green salad with anchovy vinaigrette and 24-month parmesan; and fresh pasta with chunks of chicken liver proves very satisfying. It’s great to know that it is all good, wholesome and healthy. 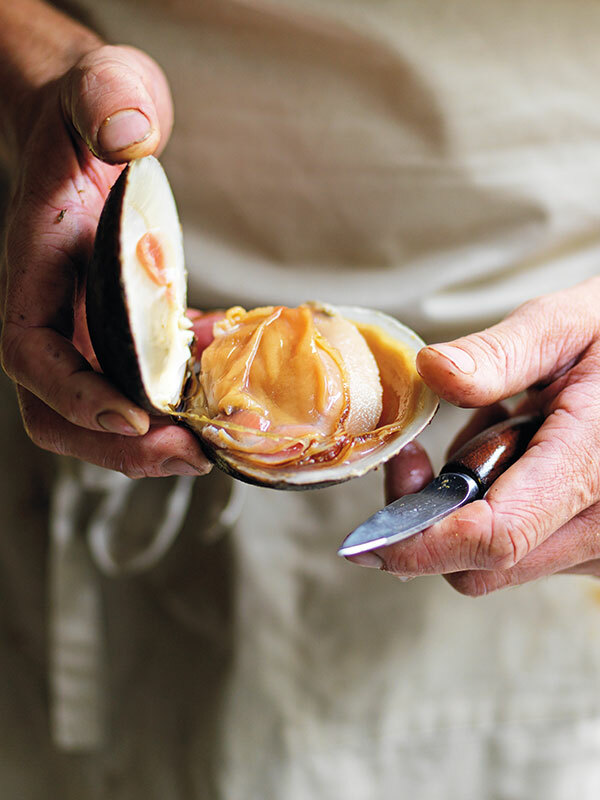 Puglisi, it is apparent, has moved a long way towards discovering his own culinary identity. He is rather unhappy on being questioned about his Noma association. ‘Now, it is nice that we have proven our own worth, as there is no fun to keep on riding on somebody else’s success,’ he once said. The next morning, we are in search of two bakeries and I am about to cheat a little bit as well. 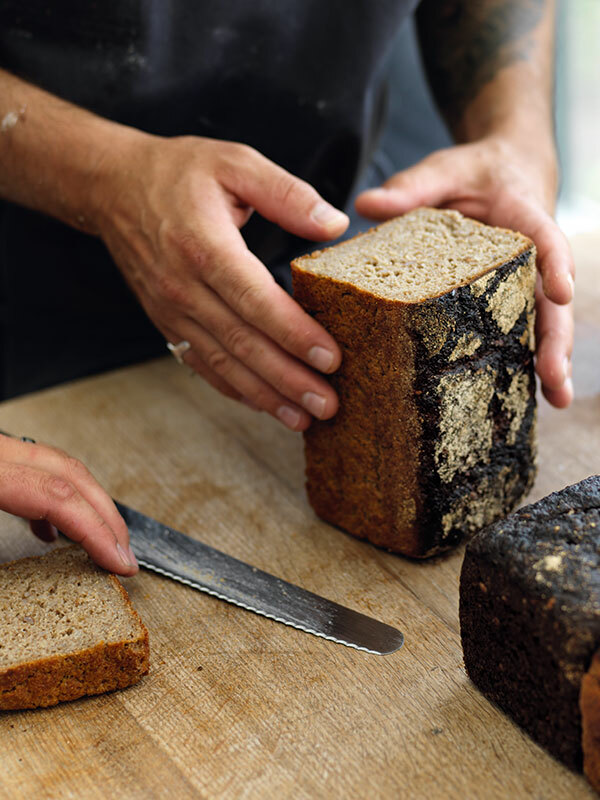 After all, how would I be able to resist Hart Bageri that opened some months ago in Frederiksberg to queues around the block, as proclaimed by Redzepi on Twitter: ‘People aren’t in line for Kanye shoes or iPhones — BUT FOR THE BEST GODDAMN BREAD IN TOWN. Congratulations @hartbageri we’re so happy and lucky you chose Copenhagen’. The city’s hottest new bakery does not have an ex-Noma chef at the helm but rather San Francisco’s famous Tartine’s former head baker, Richard Hart. 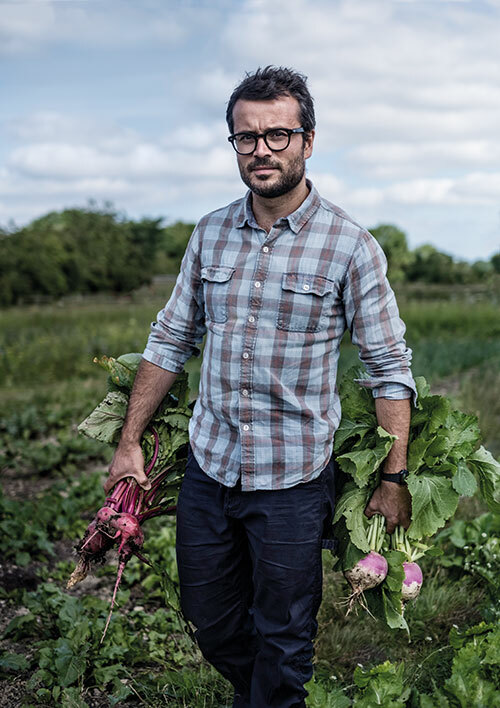 But — and here’s why I have slipped it in — Redzepi in fact wooed the British-born Hart here from the US. The space is packed this morning and I queue up for some of their innovative offerings that bring an international twist to essentially Danish baked goods. My mug of coffee tastes ever so much better with the cinnamon roll spiked with a slice of ham (unusual, scrumptious) and a signature vol-au-vent filled with salad leaves, rather plainly labelled ‘salad bowl’. I am full to bursting with the Hart booty, but must venture forth in the name of duty to former Noma chef and Swedish-born Emil Glaser’s little bakery, Juno the Bakery, located in the quiet neighbourhood of Østerbro. A short line of patient customers on the pavement outside pinpoints the location to me. Standing in front of the laden counter, I regretfully cast an eye over the sourdough buns, almond croissants, wholegrain rye bread and the two young bakers who are rolling out the dough on one side. I am in search of the cardamom rolls or kardemomme snurrer that Juno has become particularly known for. This turns out to be some of the most delicious bread that I have ever tasted. The sweetened snail-shaped roll with just a wonderful hint of cardamom evokes memories and creates new ones. And isn’t this what good food is all about? The flavours are subtle and I am happy just to be standing there on the sidewalk, a cup of coffee ground from beans of the Swedish coffee roasters Koppi in one hand and the delectable roll in the other, even as a limo rolls up and a beautifully dressed young lady joins the queue for her mid-morning indulgence. A story that I read online led me to Iluka, Chef Beau Clugston’s seafood restaurant. Clugston was in search of the best sea urchins in the world and called a fisherman from the Faroe Islands for his fabled seafood. Gunnar the fisherman, however, refused to part with his bounty unless Clugston visited him personally the following day. Borrowing from his mother-in-law for the flight to Tórshavn, the young chef arrived at Gunnar’s doorstep and, having no money for a hotel room, crashed on his kids’ sofa. Luckily, the feisty fisherman took to him and they barbecued seafood through the evening while downing champagne. Even so, it took Gunnar another few weeks to promise his produce to Clugston. The chef recalls that the fisherman asked him how he would serve the urchins and finally acceded when he replied that he would plate them up just as they were. My final night in the city is spent at Sanchez, Noma’s former pastry chef and later co-chef, Rosio Sánchez’s Mexican restaurant. Sánchez was picked by Redzepi for Noma’s Mexican pop-up in Tulum last year and an Instagram image of her with a giant, black lacquered soft-shell crab inside a tortilla will stay with me forever. 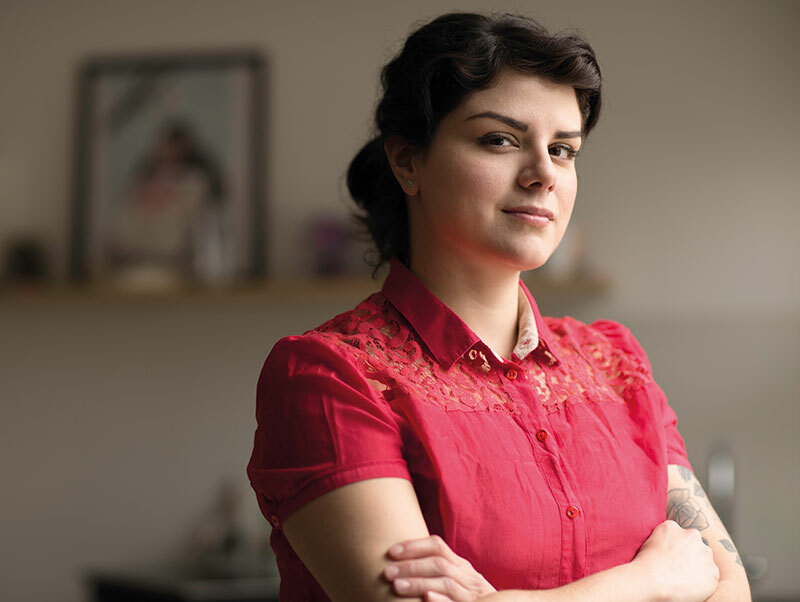 The pretty Mexican-American chef is brusque and does not mince words when speaking about food or the situation of women cooks (see interview). Her goal is to translate her personal story onto the plate together with the tastes of Mexico (they are, after all, interlinked). I go in search of her taco shop, or taqueria, Hija de Sanchez, in the city’s Torvehallerne food market, but discover it closed for the cold months ahead. Her restaurant, Sanchez, however, offers a larger menu, and I decide to dig right in. 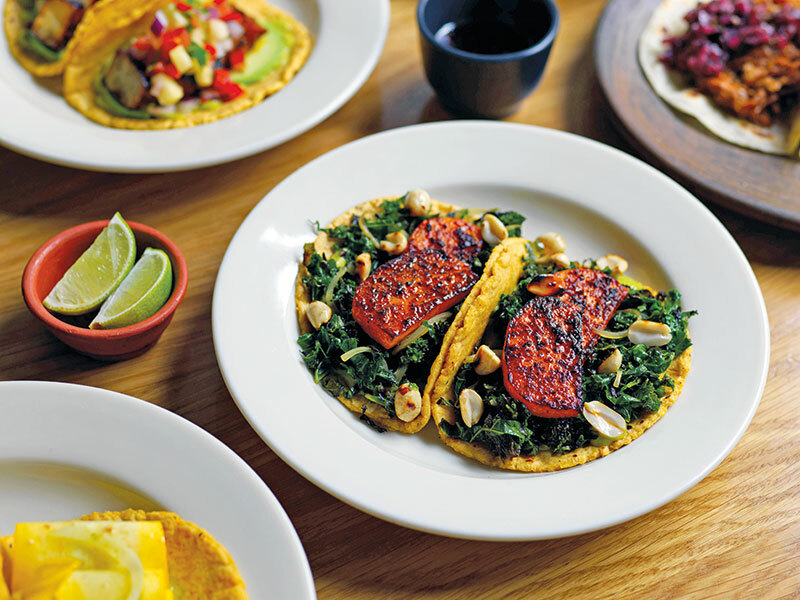 Sanchez, inspired by a traditional Mexican cantina, offers tacos, tostadas and tortillas made of fresh ground masa. The beautiful Mexican corn is imported from the communities in Oaxaca for authenticity. The toppings represent the finest of local ingredients — thus bringing together the best of Scandinavian and Mexican culinary traditions. The menu is simple and straightforward and we start with the tuna tostada, which highlights a crispy tortilla heaped with raw tuna marinated in charred habanero salsa and guacamole. The octopus tostada highlights chunks of seafood grilled to perfection. The taco of the day arrives heaped with juicy pork in a spicy sauce. The esquita proves to be a platter of delicious fat white asparagus with grasshopper and chilli paste, covered in local aged cheese. The highlight for me is the dessert — the open churro sandwich. A circle of warm, crispy churro covered with frozen parfait and topped with bitter cream. Sánchez, the pastry chef, cannot help but shine! How did Noma prepare you to open your own place? I went through a lot of adaptation at Noma, so that helped me to get ready to take on anything. Because Noma does a lot of interaction with guests, which is quite different than most restaurants, it forces a cook who works there to also be attentive to other things. It’s cooking the food, serving it, explaining it correctly. Do the guests understand and like it? The other thing is being able to work with what you have. The major movement with Noma was, and still is, cooking with what is within Scandinavia. The pantry was very small, especially in the winter. Now that I have my Mexican restaurant, I am trying to find things that are Mexican. And maybe not having them and being limited is a learning on how to adapt while also keeping Mexican food and the Mexican soul in mind. So, we use mainly local ingredients when it comes to meats and vegetables and we import the corn, dried chillies and spices. Do you see René Redzepi and Noma as changing the gastronomical world in any way? I know when I moved here, there was nowhere to go out to eat on a Sunday. I would just hibernate at home. 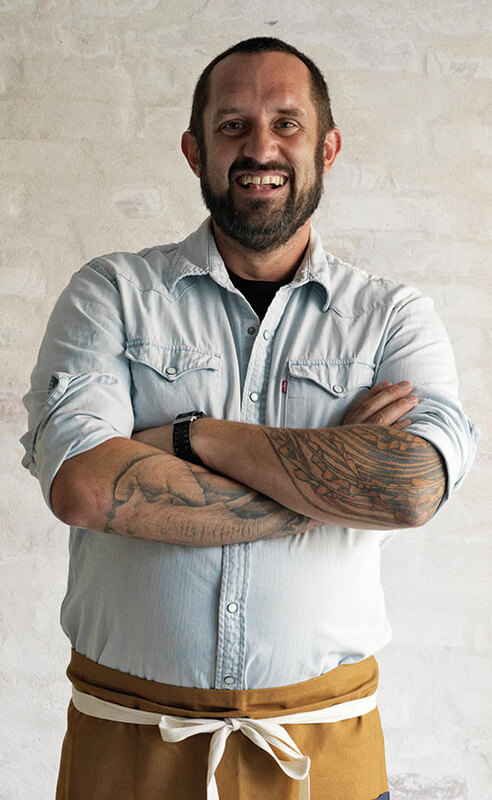 It started with (former Noma chef) Christian Puglisi; his restaurant was open on Sundays and everybody was like ‘Thank you!’ If I think about it, there are a lot of people that worked at Noma who have their own place now. 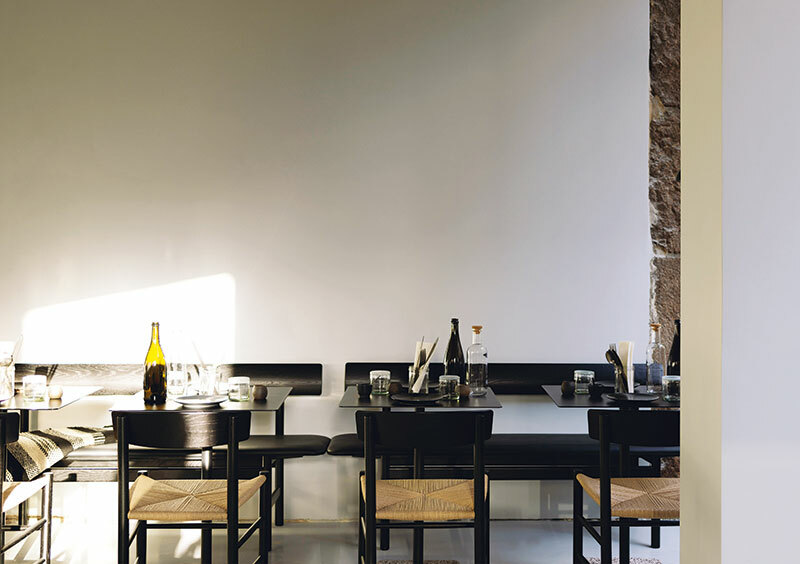 So, I think little by little he (Redzepi) is making the city really cool as far as having different options to eat at. The city used to be so bare; I feel like it’s a new city and people are starting to build from it. How do you define yourself and your food? The biggest reason I had to go into this, when I started with tacos, was so that I could learn more about my culture. Spending so much time in my career working for guys in other cuisines — I wanted to direct that attention towards something that could be better for my community. I grew up in Chicago, my parents are from Mexico, but I have worked here (in Copenhagen) for 10 years so I describe my identity now as a little mix of everything. But I identify most with Mexican cuisine simply because I grew up in a Mexican household eating these flavours — as simple as it may sound — rice and beans and chillies and salsa and tortillas. But then I try, of course, to incorporate the stuff I’ve learned professionally and to harness these together to create something that’s not too crazy but normal and tasty and done right. I feel really grateful to have this restaurant because it helped me represent just who I am. I was like, what’s the menu going to be? Is it going to be authentic Mexican food? But that’s not me; I’m not super authentic; I didn’t grow up in Mexico. So answering those questions was very important and just accepting that we’re going to have our own thing that of course isn’t the same as Mexico. Of course, I do. But I’m not very active. I guess I am maybe ‘silently active’. I’m not out there posting things on Instagram or anything like that. But I am conscious that I need to be a strong person because I am a woman. So, I am conscious of my influence and my actions — to not make the wrong decisions, to create a good image and be a good inspiration for younger women. Any advice for women in this male-led industry? Unfortunately, we do have to work harder. I would also say that you can’t let it get in your head too much that you’re a woman. If you allow yourself to get too wrapped up in it, you lose focus on the work that’s happening. Several top chefs have been called out during the #MeToo movement. What are your thoughts? It’s the right direction. It’s a very confusing time considering it’s kind of open-ended for a lot of things. Some people are held accountable, some are not. So, it’s a little hard to see where things are going. This is a bigger problem. I think that it’s a humanity fight. Everyone needs to fight for it and then we can create a new normal. 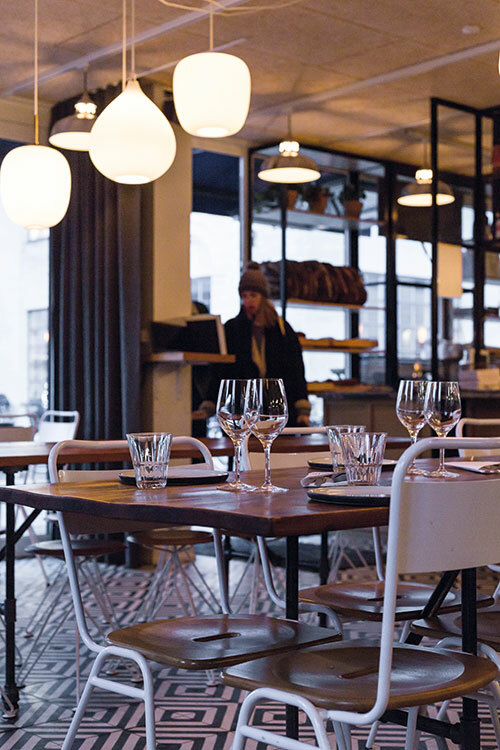 René Redzepi’s Copenhagen eatery amazes with its Game and Forest Season Menu. There has to be something special about Noma since I feel a strange pricking behind my eyelids every time I think back to my one meal there. It is the kind of emotion that I encounter every time I wander through a museum gallery and suddenly discover myself facing that one picture that sets my heart soaring. Mind you, I do not even need to like it…it just somehow lifts me up…. With Noma, perhaps, it was the reading, the waiting, the craving that set the tone already before I got there. Booking a table was quite the story. On that single day in the year when reservations opened for the Game and Forest Season, we (hubby and son were co-conspirators) tried to reserve a table with three laptops open, but only one of us managed to get on the wait list. It was later that we were informed by the restaurant that there was a last-minute cancellation. We had managed to land an almost impossible seat at Noma. This seasonal multi-coursed dinner, I discovered at the onset, was not for the faint-hearted. 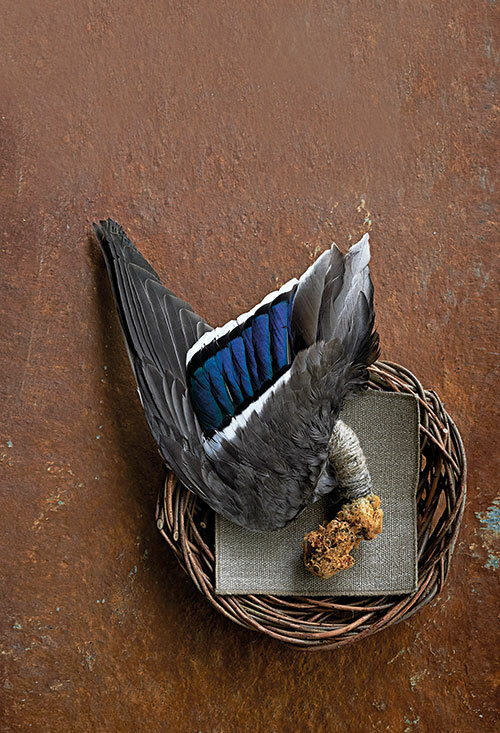 Game and Forest is the only one — of the three seasonal menus that owner and Chef René Redzepi has divided his year into — where meat is the star. There is a hint of what’s to come in the pile-up of reindeer antlers outside the huge wooden doors that open into the restaurant set amidst its own urban vegetable garden, currently starring kale. What was once a sprawling, graffiti-splattered armaments shed is surrounded today by constructions that resemble greenhouses, which, we discover later on a tour of the backend, are in fact R&D labs where ingredients are studied and gastronomic experiments held. Noma has launched into its Seafood Season and scheduled next is the Vegetable Season — I crave them both. Back to Game and Forest, a series of dishes is presented seamlessly by servers and chefs who explain the ingredients, offering directions on how to eat (usually with the fingers and once with a duck bone). Each presentation is worthy of an exclamation and the tastes are never-before-experienced. The reindeer feast spotlights tartar of reindeer heart, reindeer sweetbreads encased in forest moss and reindeer tongue on a skewer. We then move on to wild duck, and while we are warned to look out for shrapnel, I am surprised that we actually find a tiny bit embedded in the meat. Duck breast cooked over an open fire, leg meat, cured duck breast, brain served in the head with beak intact — all immaculately executed. The vegetable dishes punctuating the meal are as inspiring, if not more so. Moss from the forest, foraged wild mushrooms, rose hip berry and crab apples…. The desserts include one featuring blueberry which is spotted with forest ants while what looks like ducks’ feet is, in reality, a fudge made of duck fat. Having dipped into the Noma philosophy of local to the Nordic region, I understand Redzepi’s sheer brilliance in making the best of a mostly freezing area, with unbound imagination and crazy creativity. There I go again — that pricking in the eyes! The only thing that will stop it is being able to sample all the other Seasons. Noma, here I come! Again!